When conferred by Margaret “every prime minister needs a Willy” Thatcher on William Whitelaw, the title of deputy prime minister was little more than a device to help her neutralise the “wet” opposition inside her own party. The office - a strictly unofficial one in the prime minister’s personal gift - was not new. It had been invented by Winston Churchill to accommodate the Labour Party in the wartime coalition and after the war was used by several PMs to keep large cabinet egos in check. Whitelaw amiably and charmingly filled the role: for many Conservatives he was the acceptable face of Thatcherism, and when he retired to be replaced by Geoffrey Howe, the writing was on the wall for his leader. Since then, the device has been used in a similar way by John Major and Tony Blair. In appointing Michael Heseltine, Major sought to keep his fractious party together by placating the pro-Europe wing; though as it turned out, the bigger threat came from the other side. Blair emulated the Thatcher trick more successfully. Like her, he was seen as an interloper by many in his party. His deputy John Prescott, like Whitelaw, was a force of nature instinctively trusted by the traditionalists in his party, and his support an essential factor in achieving radical reform. Gordon Brown was not one for such meaningless baubles, yet the role had by then become so well established that, when he was cornered enough to bring Peter Mandelson back into government in the greatest coup de theatre executed by both men, the commentators were unanimous in regarding him as DPM in fact if not in name. There are parallels with the American vice-presidents, whose selection has mostly turned not on their (potential) suitability for the highest office, but on what they could deliver for the presidential candidate: the South (LBJ for JFK), the Liberal élite (Humphrey for LBJ, Fritz Mondale for Jimmy Carter), the establishment (George H W Bush for Ronald Reagan, Al Gore for Clinton), youth and gender (Palin for McCain, who got a little more than he bargained for). In some cases, the candidate picked someone so unsuitable that he could feel a little more secure himself (Dan Quayle for Bush Snr and Spiro Agnew for Nixon, though ultimately that did not save him). 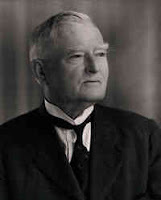 So pointless in itself has the vice-presidency been that Franklin Roosevelt’s veep John Nance Garner described it as “not worth a bucket of warm piss”, a phrase made famous by the squeamish American press as “a bucket of warm spit”. But at least they were just a heartbeat away from the levers of power, which is more than can be said of Britain’s Number Twos: Macmillan’s DPM Rab Butler was famously overlooked in favour of Alec Douglas-Home when the Grand Old Man retired in 1963. So is the deputy premiership worth anything at all? The question is pertinent because today we have a high profile DPM and a new and (in peacetime) unprecedented purpose for the role: to keep the governing coalition together. But the office has no constitutional basis, it has no fixed departmental responsibility and it is doubtful that any incumbent apart from Michael Heseltine has actually been seen as the second most important person in the government. In practice, Britain’s DPMs and America’s VPs have fulfilled a crucial but not independent role. As foil, lightning conductor, shield and emissary for the leader, their purpose has been to make the control of government more effective. The power of Britain’s current DPM Nick Clegg lies in the fact that he must be kept on side, but also in the role he has negotiated for himself as point man for constitutional reform. Time will tell whether he will be Blair to Cameron’s Bush - a figleaf for bigotry with terrible consequences - or the instigator of a “new politics” in which one by-product is the permanent establishment of the deputy premiership as a significant office of the realm.